Just last week, Hewlett-Packard CEO Meg Whitman said that her company would be "on the hunt" to acquire new companies, and now she has made good on that promise. HP plans to buy Aruba Networks in a $3 billion transaction that, factoring in cash and debt, works out to about $2.7 billion, the companies announced Monday. The deal, which was approved by the boards at both companies, will see Aruba become part of the HP Enterprise Group, led by that division's head, Antonio Neri. Aruba CEO Dominic Orr and Chief Strategy and Technology Officer Keerti Melkote will stay on and report to Neri. Aruba Networks, which has approximately 1,800 employees and generated $729 million in revenue during its most recent fiscal year, provides corporations with services that manage wireless networks and "trigger security actions" on mobile devices. Its business has been built around the idea that mobility has become a major trend in the corporate world, requiring IT departments to find new ways to handle issues that arise on smartphones, tablets and notebooks, and to ensure compliance with company security protocols. All of that is done automatically, so companies don't need to have a dedicated IT person handling issues with mobile products. Aruba Networks will complement HP's existing networking business, which provides products and services to corporations to help employees get online. In a statement, HP said that it believes "enterprises need comprehensive, integrated and secure networking solutions to help them transition legacy systems to the wireless edge," and its Aruba buy could help that effort. The acquisition announcement comes just days after Whitman told Recode in an interview that her company must "make some acquisitions" to continue to grow. 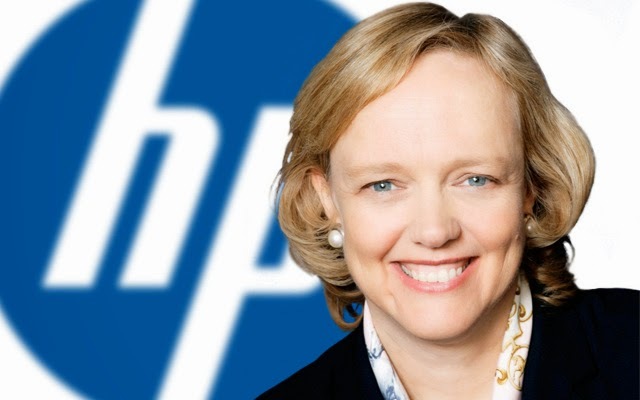 She said that while HP itself has the ability to bring some innovation to the marketplace, the quickest and best way to achieve such a goal would be to acquire other companies. The Aruba acquisition is slated to close in the second half of 2015, pending regulatory approval. Aruba must also gain shareholder approval. HP shares rose 23 cents, or 0.66 percent, to $35.07 in premarket trading. Aruba's shares were down 40 cents, or 1.6 percent, to $24.41. HP and Aruba Networks both declined to comment on the report.